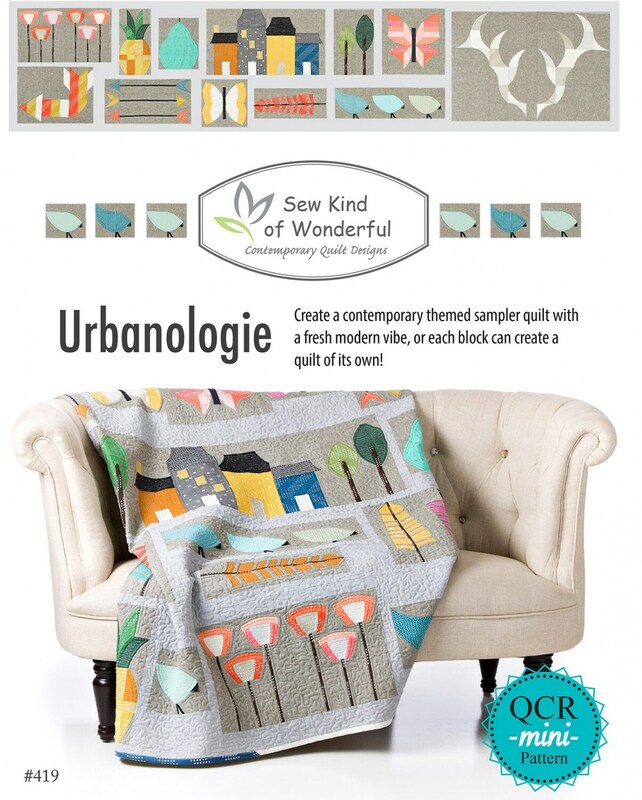 This is a new sampler pattern: Urbanologie. 3 different layouts to choose from! 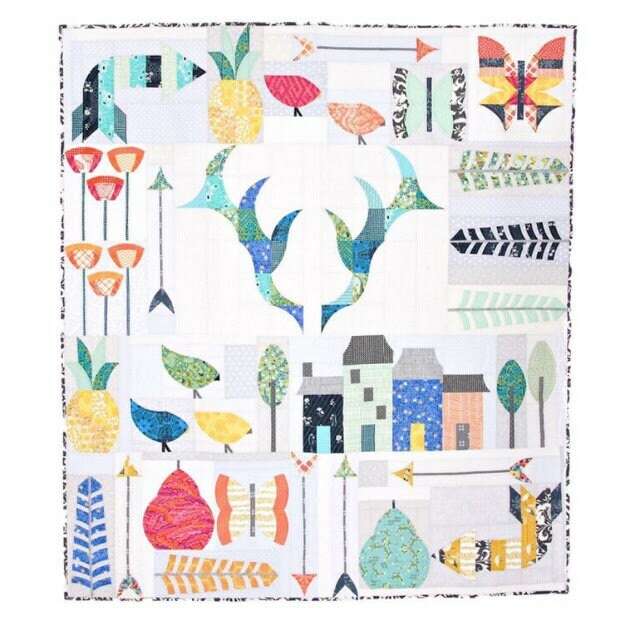 Finishes 56"x64", 65"x81", or 57"x84"
or each block can create a fantastic quilt of its own! and each block has a materials list also. 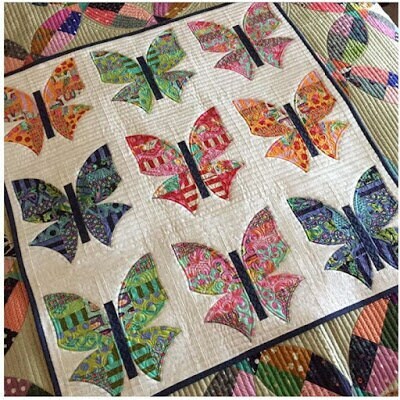 It has three different layouts to appeal to a variety of styles. 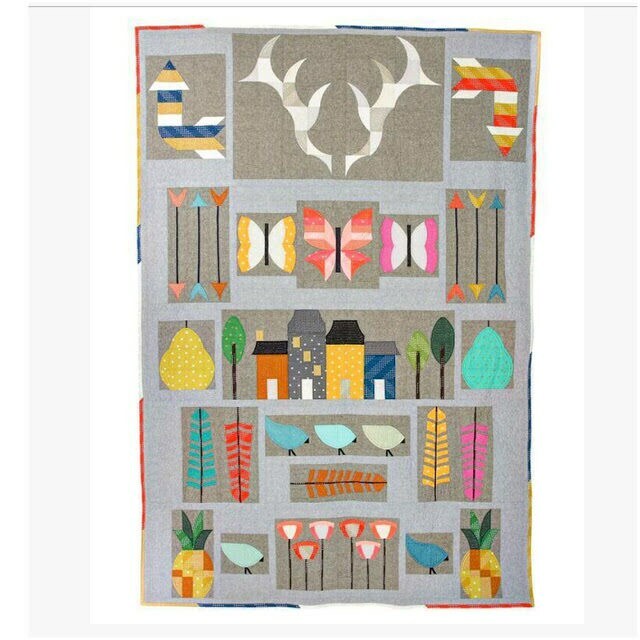 butterfly, pineapples, poppies and antlers. 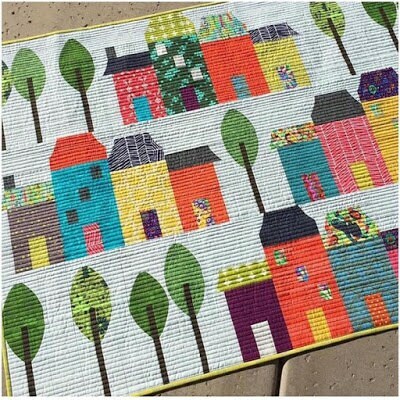 ** Requires "MINI Quick Curve Ruler"
cut curves that would be easy to sew.